Quilters Headquarters is a full service quilt shop specializing in premium 100% cotton fabrics (at discount prices!) and embroidery machines and supplies, as well as Longarms and sewing machine sales and service. 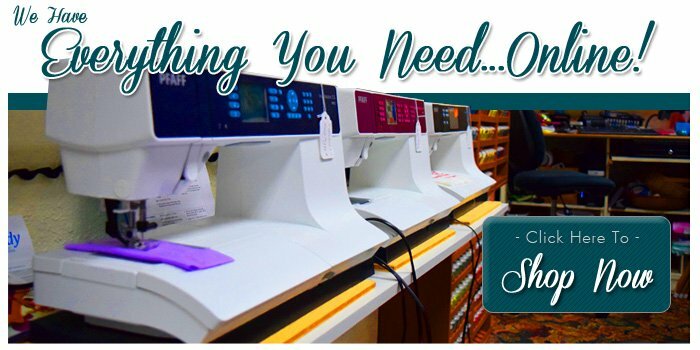 As an authorized dealer for PFAFF and Juki we offer a full line of innovative machines to help you excel at sewing and quilting. Additionally, we provide exceptional machine training and repair services, along with classes and clubs for quilters of all skill levels. Located in Sioux Falls, SD, our store atmosphere is warm and welcoming, with friendly staff members on hand to offer expert advice, personalized service, and enthusiastic support of your creative endeavors.